Recently I have been giving my bedroom a bit of a de-clutter and refresh so when Yorkshire Linen contacted me wanting to collaborate on a blog post I thought it was perfect timing! So today I wanted to talk about ways you can create a different atmosphere in your bedroom by simply changing your bedding! Colour has a big influence on the feel of a room. I think sticking to a colour 'theme' is a good idea. 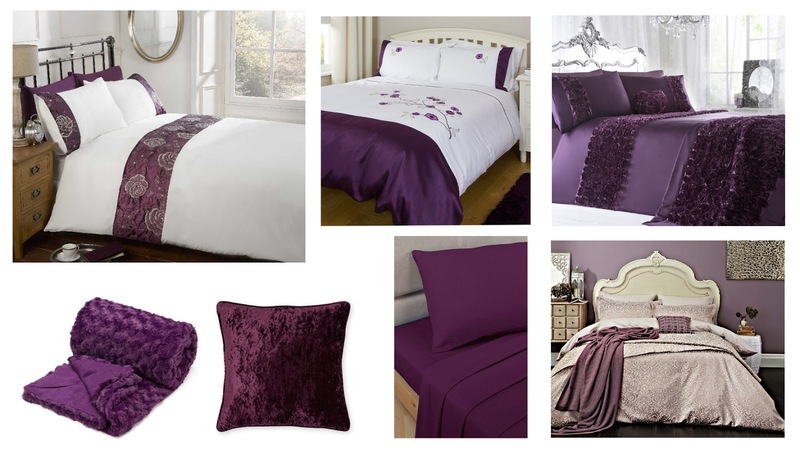 My bedroom is mostly cream and plum purple themed with some rose gold accents in the accessories. The cream helps to lighten the space and make it feel larger and more open. The plum I chose as its one of my favourite colours and feels very luxurious and expensive. Recently I have decided to add a few rose gold accents and decorations to my room. Rose gold is my favourite metallic finish and is very in vogue right now, I think it's probably because the pinky tone is not only pretty but just seems to go with everything. Texture is also important. Layering up different textures such as egyptian cotton sheets, satin finish duvet covers, faux fur or cozy knitted throws and pretty scatter cushions can help to create a really sumptuous environment and somewhere you will look forward to relaxing in. 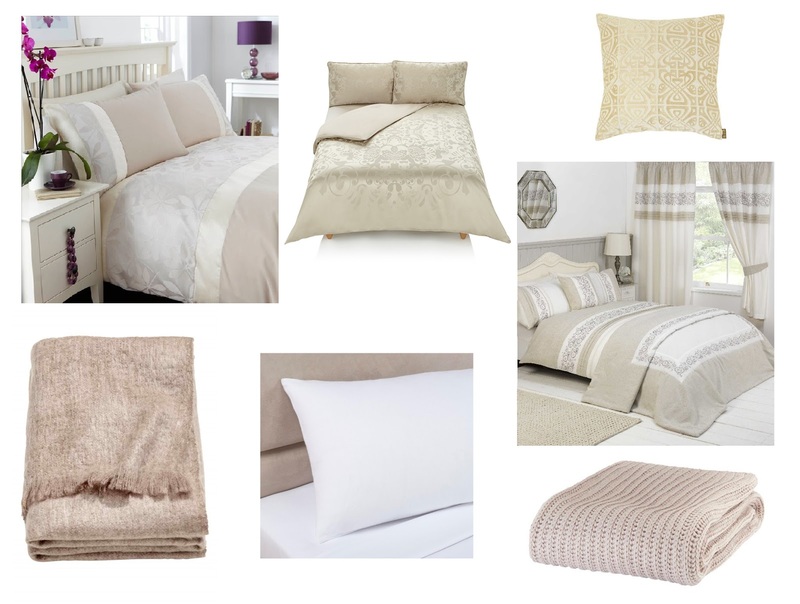 Yorkshire Linen quality bed linen have a lovely range of textures and finishes to choose from. From polycotton, flannelette and egyptian cotton sheets and pillow cases to faux silk and jacquard textured duvet covers. 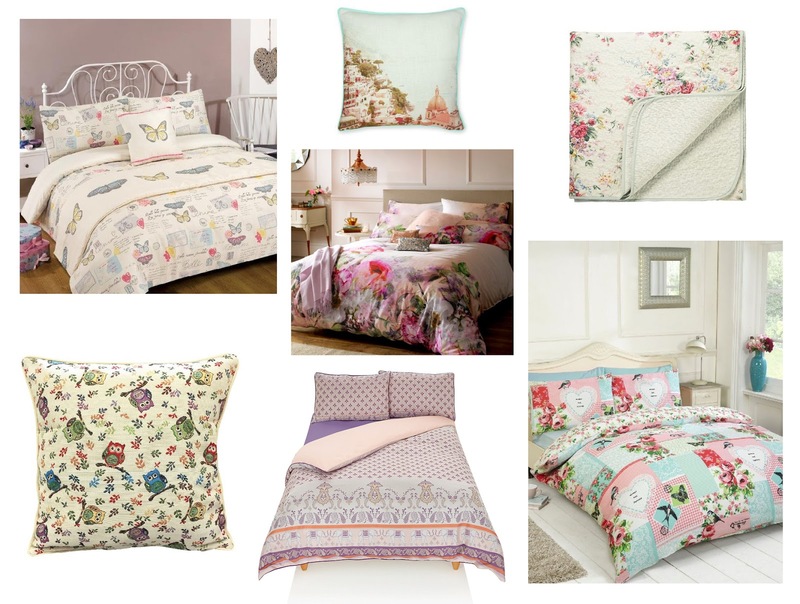 House of Fraser is always a good option for Duvet Covers, I particularly like their range by Ted Baker at the moment which include some beautiful digital, floral prints. I would also recommend visiting The Range for great value throws. My own Aubergine Faux Fur Throw is from them and I love it! Here are some mood boards to give you some different ideas on how colours and textures can change the atmosphere of your bedroom. Neutral | Clean, minimal, uncluttered, can make small rooms look bigger and ideal for guest bedrooms. 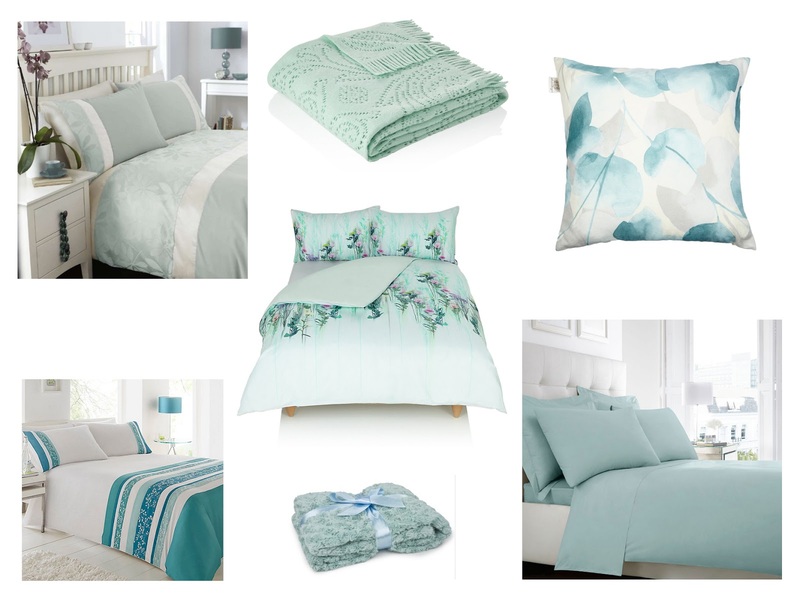 Aqua Blue | Tranquil, light, relaxing and calming. Plum | Opulent, rich, feminine and luxurious. Monochrome | Sophisicated, chic and modern. You can check out the beautiful range of quality bed linen that Yorkshire Linen have to offer by visiting their website. 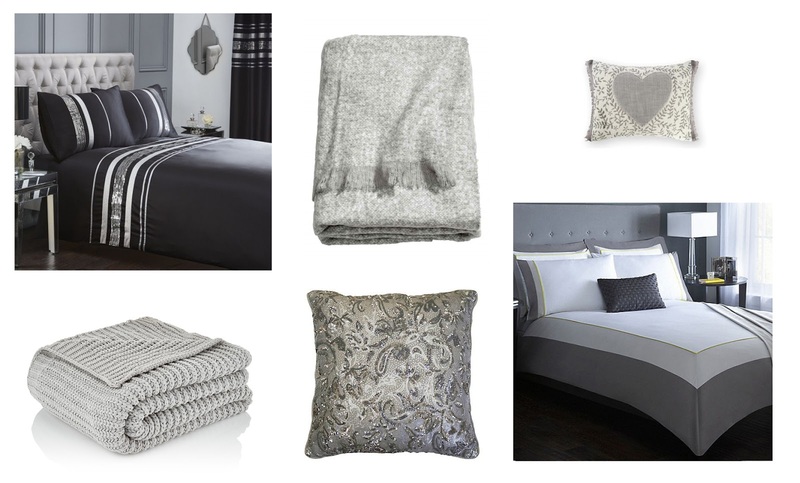 There you can invest in some luxurious new bedding to change or refresh your bedroom atmosphere this season. I will give you a little 'room tour' on the blog when I feel happy enough to show you my refreshed bedroom! What tips do you have for changing and refreshing your bedroom atmosphere? That plum color is gorgeous!